Some of you might be wondering why I have developed a fascination with this neighborhood. Well, if the coffin dragster, reefer leaf sign, a thugged-out Wimpy or this fail to help you understand why a person such of myself would be enamored with this area, maybe the following will. What the hell is this, you ask? 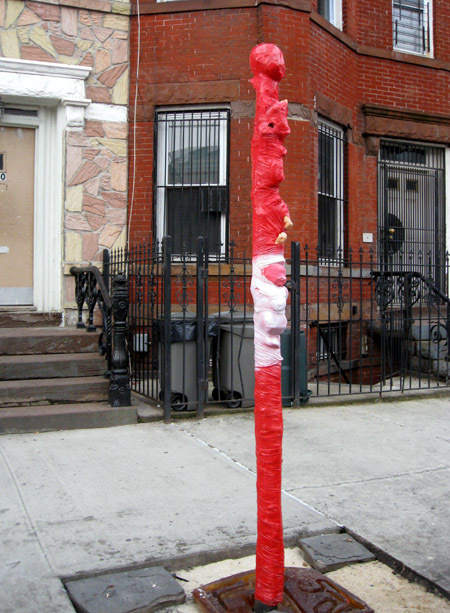 It’s the Bed-Stuy Baby pole. 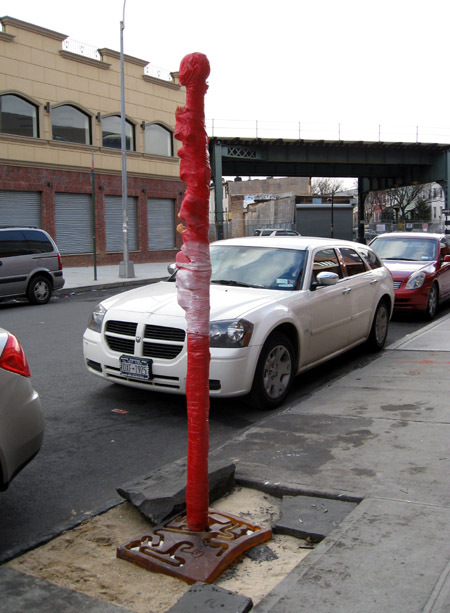 And by “baby pole” I mean a pole with babies affixed to it. P.S. 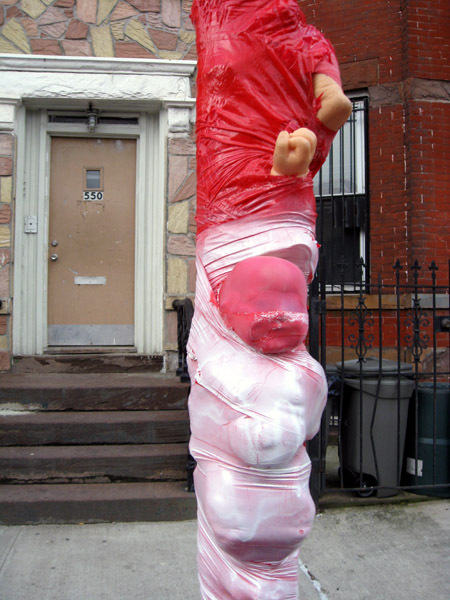 : When I was a graduate teaching assistant/fellow a number of my students went through a phase where they incorporated doll parts into their art work. So much so that it became a cliche. Why oh why couldn’t one of them have produced something like this? I would have given this an “A+”.